If you remember, a while ago I said I was going on a spending ban, that unsurprisingly ended quite soon after it began. In my defence retail therapy cures exam stress like nobodies business! Also what I have to show you today did not break my spending ban as I won this at a charity quiz night, who knew my random knowledge would ever win me makeup! 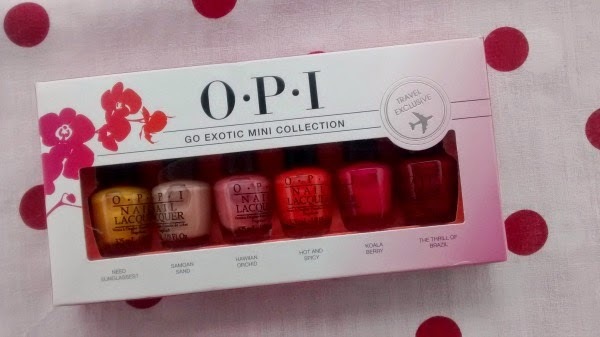 The prize I won was this OPI Mini’s travel exclusive set: the Go Exotic Mini Collection. 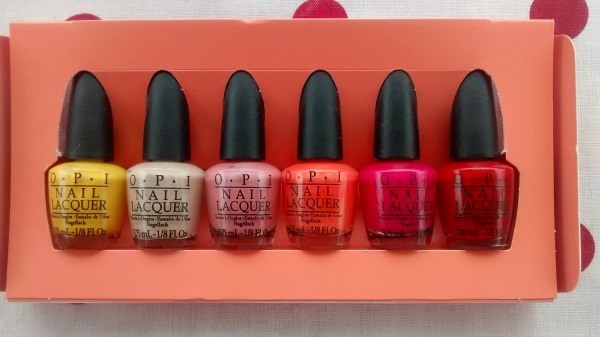 The set contained six mini summery OPI polishes. Now I personally love the small bottles mainly because I have so many different nail polishes and I will never get through the big bottles unless I really really like the colour. 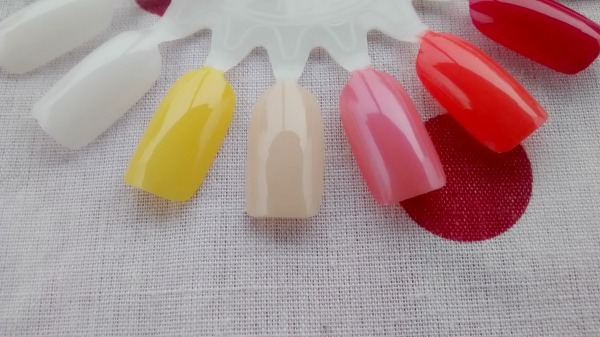 These mini bottles allow me to paint my nails many different colours of the rainbow without feeling like the polish will go to waste if I dislike the colour, or don’t use it enough. The colours in the set are all quite summery and will, I imagine, get a lot of use during the next few months. All the shades are warm toned and will be versatile and add colour to any outfits. OPI Need Sunglasses? 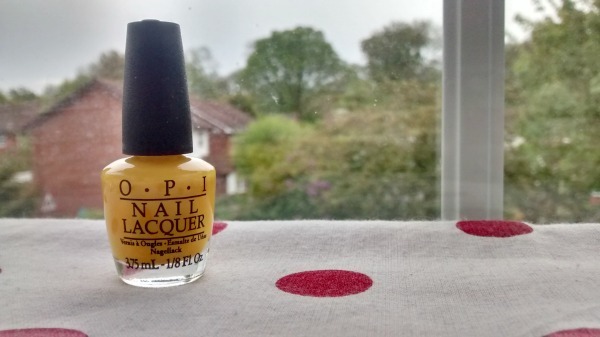 is a bright canary yellow, it has a glossy finish with no iridescent shimmer or glitter to be seen. This is definitely a statement, attention grabbing polish, not for those who prefer the more understated manicure. 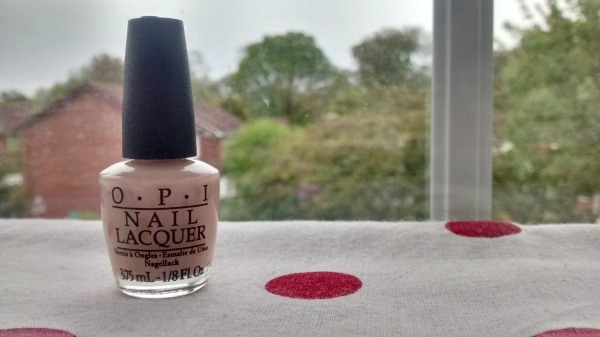 OPI Salmon Sand is a neutral grey beige polish, a much more everyday wearable alternative to Need Sunglasses? It’s not exactly a salmony colour in my eyes, I would have thought that it would be a pinky colour but hey, it’s a nice colour nonetheless. 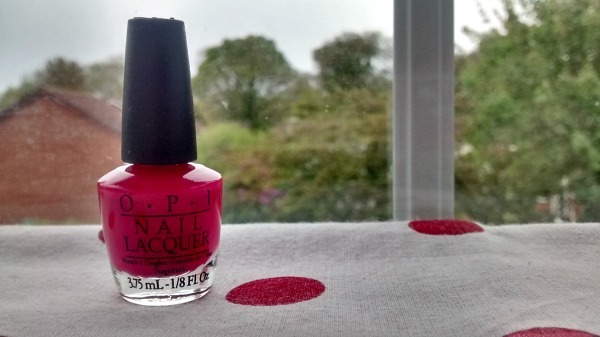 OPI Hawiian Orchid is the only polish with a slight iridescence to it. The light purpley pink has a blue shimmer to it and it is one of my favourite colours in the set. I’m not usually a pink wearing girl but this I’ll make an exception for. 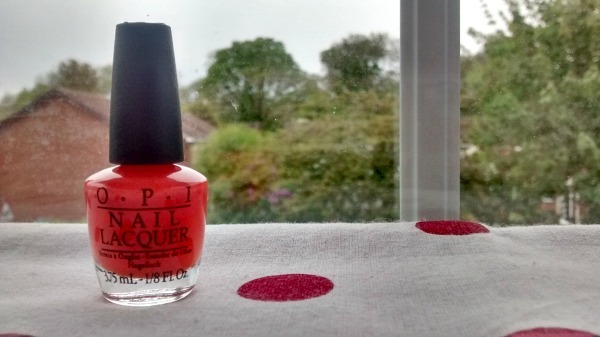 OPI Hot and Spicy appears to be a red toned orange in the picture above however, in real life it is a bright coraly orange. Another bright shade but one that would not look out of place in summer. 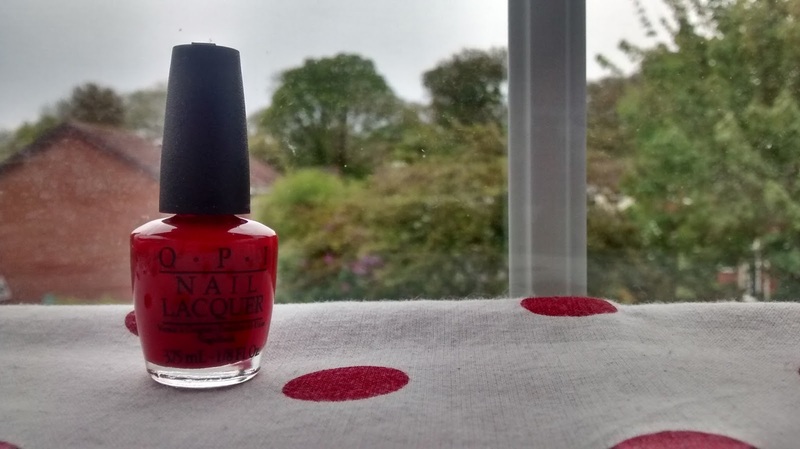 OPI Koala Berry is one of the more all year round colours. 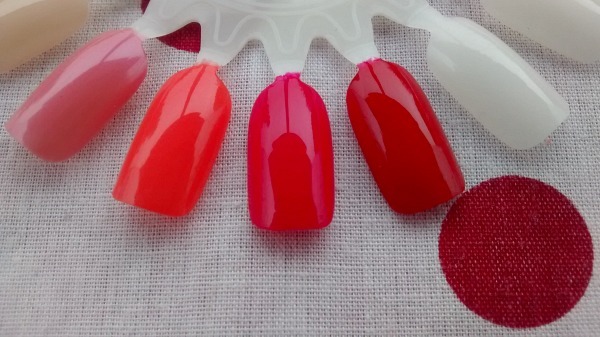 The dark hot pink has a light berry resemblance depending on the light. While this is a very summery colour, it would not look inappropriate in autumn either. OPI The Thrill Of Brazil is your typical dark pinky red. This could be worn in many a situation. 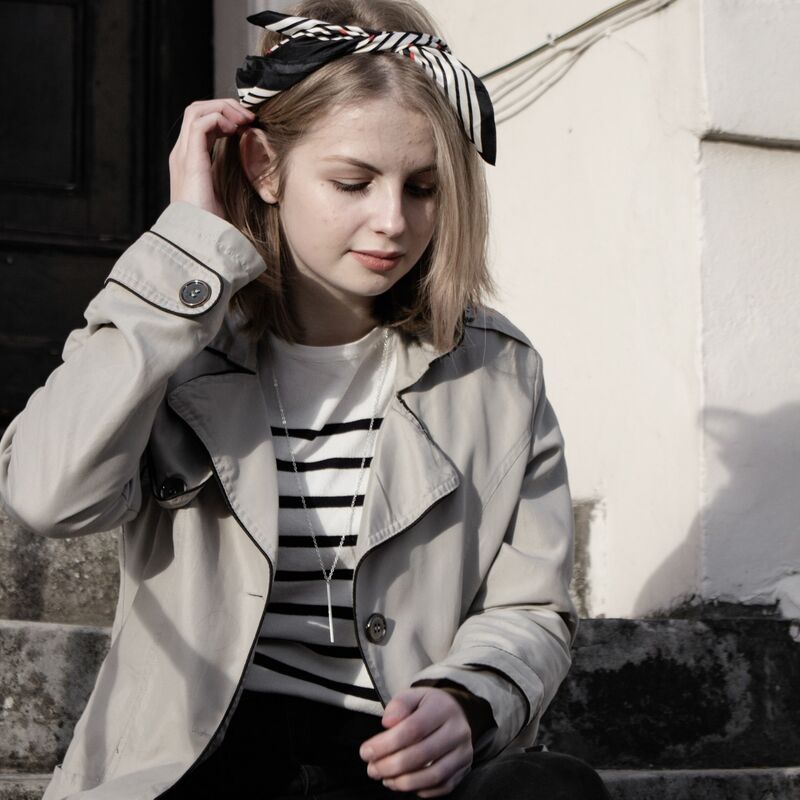 Paired with a red lip, to add colour to an outfit, the possibilities are endless. Overall this set is a very useful travel exclusive. Picking this up in duty free, (along with some nail polish remover if you haven’t packed any,) would leave you with the perfect selection of nail polish options for your holiday. And even better than that you won’t feel bad about buying so many polishes as they are only miniatures. 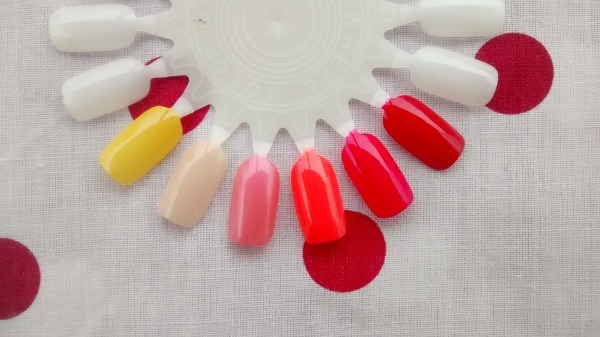 What are your go to summer nail polishes? Have you tried any of these?